Do you have a Bible? If so, how many? Do you have a favorite? Is it a thin-line Bible? 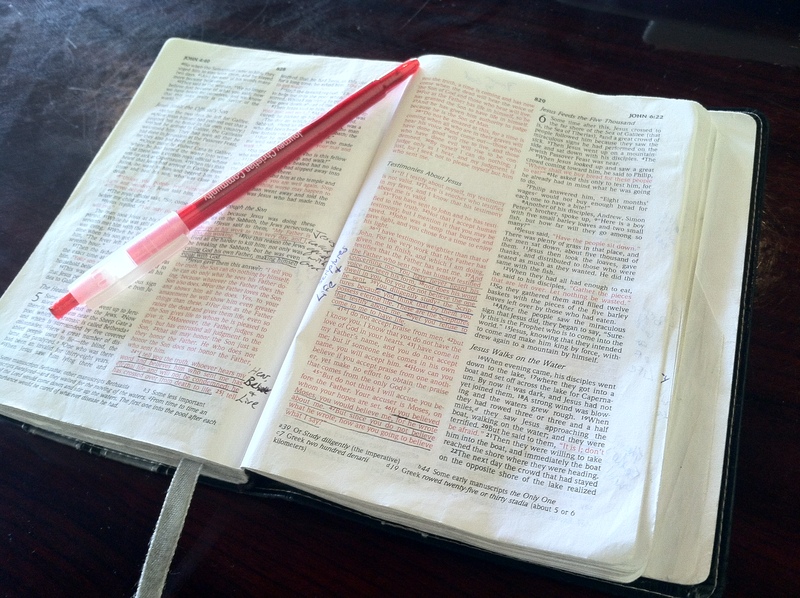 A daily devotional Bible? A chronological Bible? A study Bible? A pocket Bible? Or possibly an on-line Bible? What version do you prefer? Do you like the NIV? The New Living Translation? The Message? Or do you lean more toward the New King James? The New American Standard? The New Revised Standard? It’s amazing how endless the possibilities are for us to access scripture. We have it on our phones. We have readings sent to our e-mail accounts. We have them in our cars, in our bedrooms, in our living rooms and even in our hotel rooms when we travel. We have literally come to the place where we could have constant access to the word of God. Early on, I knew the Bible to be God’s book. That he inspired over 40 different men to write his words down for us. That it is divided into two major sections, the Old Testament and the New Testament. That it has 66 books, 39 in the Old and 27 in the New. That the Old Testament has stories about God and his people – Israel. And the New Testament has stories about Jesus and the church. I was a student of the word. I took notes in church and worked to connect all the dots. I was definitely in pursuit of more information. I wanted to know more about God, more about the church and more about what this meant for me. Then, there was a time when I stopped reading the Bible altogether. I struggled with what appeared to be inconsistencies in scripture. And with inconsistencies in my personal experience. I stopped my pursuit of God and did my best to numb my heart. When I came back home to him, I entered with a new desire. I wanted to know this God who would not give up on me. I longed to discover his heart. I wanted a real relationship with him, not predetermined religious answers. And so I searched, I questioned, I discovered and I let go. In my pursuit of God through his word, I found Jesus. I was introduced to the Word who was God and has been with God from the beginning. Who participated in creating us for relationship with himself. Who ached as we continually choose to love ourselves more than him. Who has relentlessly chased humanity from the beginning of time. Who established the nation of Israel to represent God to the world. Who refused to give up on people. Who punished and rebuked but always followed it up with hope and provision. Who willingly gave up his place to become like us. Who came to once and for all rescue us from the enemy, from this world and from ourselves. Who stood in our place, taking our penalty…dying so we could live! Who promised that his presence will always be with us, leading us and reminding us of his way. Who will one day take us home! When you look at your Bible, do you see him? Do you encounter his heart? Do you invite him to break through and have his way with you? What’s your relationship with the Word?